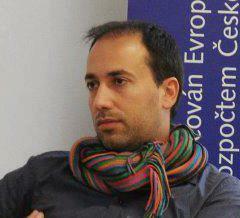 Dimitris Xygalatas is Associate Professor in Anthropology at Aarhus University. He holds a joint position between AU and the University of Connecticut, where he is directing the Experimental Anthropology Lab. He is interested in the experimental anthropology of extreme rituals. He has conducted fieldwork in Greece, Bulgaria, Spain and currently in Mauritius, combining ethnographic and experimental methods. Konvalinka, I., Xygalatas, D., Bulbulia, J., Schjødt, U., Jegindø, E-M. E., Wallot, S., Van Orden, G. & Roepstorff, A., 17 May 2011, In : Proceedings of the National Academy of Sciences of the United States of America. 108, 20, p. 8514-8519 5 p.
"Ethnography, Historiography, and the Making of History in the Tradition of the Anastenaria"
Xygalatas, D., 2011, In : History and Anthropology. 22, 1, p. 57-74 18 p.
Xygalatas, D., 2012, London: Equinox Publishing. 256 p. (Religion, Cognition and Culture). Xygalatas, D., Konvalinka, I., Roepstorff, A. & Bulbulia, J., 2011, In : Communicative & Integrative Biology. 4, 6, p. 735-8 4 p.
Steenberg, M., Roepstorff, A., Højbjerg, C. K., Beek, M. V., Johannsen, N. N. & Xygalatas, D.